Nina Planck is the wife of Murray’s Cheese proprietor Rob Kaufelt. Nina is a food writer and activist, who has written two books about the benefits of eating “real” or traditional food. Real Food for Mother and Baby focuses on the kinds of food that expecting or new mothers and their children should be eating. 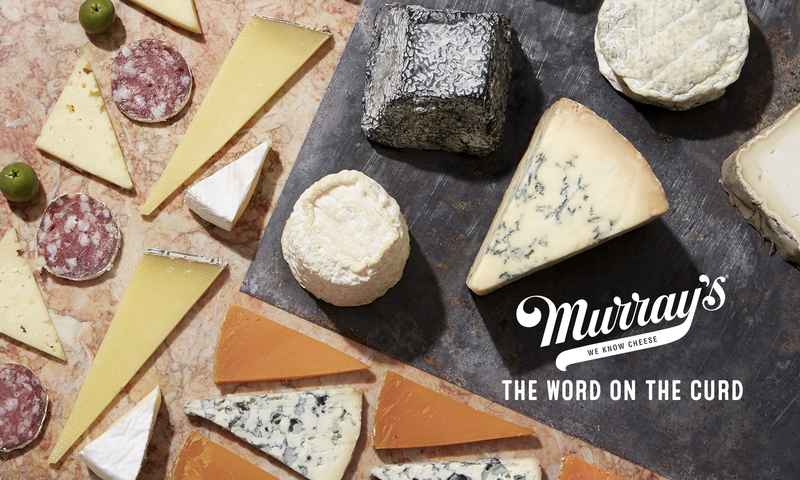 Join Nina for a special class at Murray’s, on Sunday, May 19th, at 4pm. The woman carrying a new life has some decisions to make, yes, and now is not the time to pick up a heroin habit, but her time would be better spent in wonder at her wonderful and maddening years before children, because she has no idea how wonderful and maddening will be the years with children. No idea whatever. The pregnant woman is one of those rare creatures: an innocent one. I include the woman who is pregnant for the second or third time, because she has no idea that the next baby she meets will be quite unlike her last. Still, a woman has to eat, and as Ashley Montague wrote in 1962, “Were they called upon to name the most important factor in contributing to the healthy development of the human conceptus, most authorities would unhesitatingly declare for the good nutrition status of the mother.” I agree. There are many ways to serve your baby, but the chief one, now, is via your physical health. You’re in luck. You live in a world of ample food and likely have the means to buy it. Starvation and glaring deficiencies will not plague you. Still you might wonder what’s best to eat, and why. Most women, it seems, bend their ears to experts more than to their own mothers, sisters, and other sources of traditional wisdom, if such a thing exists in (say) New York City, where I live, in the 21st century. So I’ll be your expert advisor, if you must have one, but here’s the bad news: I have no expertise other than a basically scientific mind, wide reading on food and babies, a farming background, twenty years in the kitchen, common sense, two pregnancies, and three children. Much of what you’ve read about nutrition in pregnancy and baby’s first foods is bunkum. You can eat raw milk cheese; in well-made aged cheeses there is very little risk. You can eat fish – and should. Avoiding salt will not reduce swelling and will diminish your ability to raise your blood levels, a vital condition of pregnancy. You can have the occasional cocktail, beer, or glass of wine. No, there is not too much caffeine in a piece of dark chocolate for your little one. Even a cup of coffee is okay. In other words, you can eat like a normal person. Of course, it’s wise follow some general rules of good eating. Practice moderate omnivory. Eat whole foods, including plenty of fruits and vegetables. Eat traditional fats (butter, olive oil, coconut oil, nuts, lard) rather than modern oils (canola, soy, corn) and manmade fats (all trans fats). When you eat high up on the food chain, take more care that the food is clean. Grass-fed meat is preferable to feedlot beef; organic or pasture-raised milk preferable to powdered skim milk reconstituted with water. One overstated worry concerns mercury in fish. Mercury is dangerous for the fetal brain, but it turns out that not eating fish during pregnancy is more dangerous. The babies of women who eat fish – even fish containing mercury – are better off than the babies of women who do not. The answer is to eat plenty of fish, ideally fish low in mercury. In general, smaller, oily fish such as herring and sardines are lower in mercury than larger fish, such as tuna. I recommend wild Pacific salmon in any form. If you buy canned salmon, eat the bones for calcium. Eat traditional fats to taste. All the traditional fats, especially fish and butter, will serve your baby well. The old-fashioned farm fats (butter, lard, beef) are rich in fat-soluble vitamins, and the fish oil is vital for the baby’s brain and eye, as well as for your healthy (DHA-rich) breast milk and your new-baby mental health. Get calcium from traditional, full-fat dairy foods (especially cultured and fermented foods, such as cheese and sour cream) and from bone broths made from chicken, beef, veal, and fish. There’s more calcium in these foods than in (say) kale, and it’s more readily available to the body. Avoid low-fat foods altogether. I don’t mean foods naturally low in fat, such as peaches and lettuce. I mean foods engineered to be low in fat, like skim milk and chicken breasts without the skin. They lack the good fats themselves (chicken skin is the Jewish penicillin) and the fat-soluble vitamins (especially A and D). Often these stripped-down foods reduce the total nutrition available. For example, saturated fat aids in the absorption of calcium, so pasteurized orange juice with added calcium is inferior to a piece of good cheddar. It should be clear from the foregoing menu that a healthy pregnant woman can eat very well indeed. Lay the table with the finest foods and savor them all. An omnivorous diet rich in nutrient-dense whole foods, including fermented and cultured foods, such as the proverbial pickles and luscious crème fraiche, is the right diet for a pregnant woman, her baby, and indeed the rest of her family. It’s also the right diet for a nursing mother and a baby starting to eat real food. But that’s another column – or two. Previous PostPrevious Curd to your Mother!